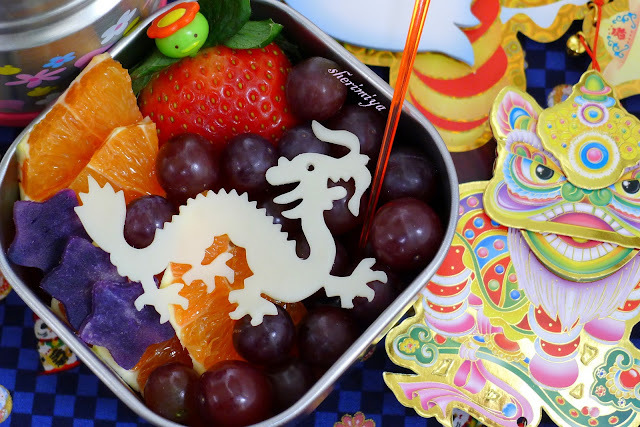 Chinese New Year Dragon Bento 3, a photo by sherimiya ♥ on Flickr. One more Chinese New Year of the Dragon bento and that's it; I promise! I made eggplant okra curry, which I think is a misnomer because there isn't any actual curry in here. Perhaps it should be eggplant okra stew. Anyway, it's completely vegetarian, which rounds out our second meat-free bento week. Wow! We haven't become vegetarians, and have no plans to completely quit meat, but I thought it would be a fun challenge to see how long our family could go without eating meat, voluntarily. Now that week #2 has come to a close, I can say that all of them took it like real troupers. No complaints from anyone. Pretty pleased about that! I even got them to all participate in my daily green drink resolution. They don't all love it equally, but they'll all drink it. Heh. 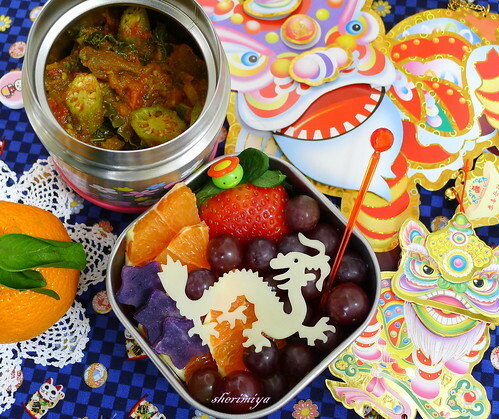 The thermal jar contains the eggplant stew, and the side box contains a selection of colorful fruit: grapes, strawberry, cara cara orange, and Okinawan sweet potato stars. 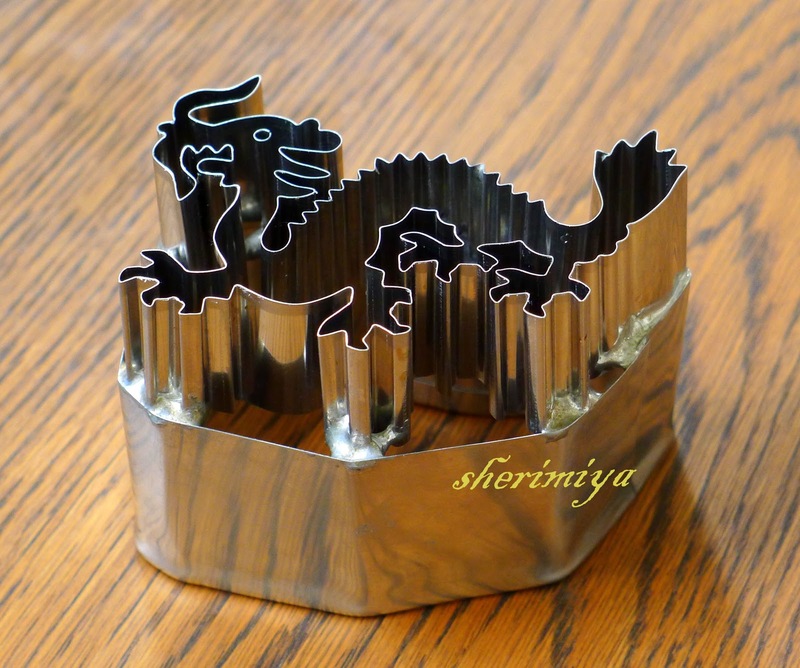 I topped them off with a cheese dragon cutout, using my ultimate elaborate dragon cutter. I used it last year to cut a dragon from dragonfruit; you can see that one here. The dragon is playing with a red ball on a stick. I think it represents the sun. Welcome Year of the Dragon; I hope it's an auspicious one for all! 1/2 bunch kale, torn into pieces. Preheat oven to 400F, wrap the eggplants in foil and bake for 1 hour, until soft. Cut each eggplant in half and scoop out the soft flesh into a bowl. Mash. Heat 2 Tbs oil in a wok and saute the scallions and garlic for a few minutes. Add the chili powder, cumin, coriander, turmeric and salt and cook 3-4 minutes. Add the mashed eggplant, kale and cilantro. At this point you may need to add water or broth to make it saucier. I think I added about a 1/2 cup. If you like it soupier you can add more. Bring to a boil and simmer until sauce thickens, about 5 minutes. Add okra, stir well to mix, reduce heat, cover and simmer for another 5 minutes. Remove cover, turn up the heat and cook another 5-10 minutes, until the okra is tender but not too soft. So cool Sheri! I love the cut out. Was trying to figure out how to do my own dragon. You are so inspirational! You're so sweet Judy. I wish you a most prosperous and healthy new year. Enjoy your weekend! That dragon rocks!! The detail is great, love him! Your stew sounds really good, I wonder if I made it if Hubs wouldn't realize it was vegetarian? Lol! cute I want dragon cheese to nibble on! Gorgeous cutter and bento too. 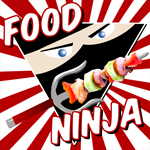 That is SO cool Sheri! The photos are amazing too. Getting me in the New Year spirit! How I wish to have that cutter too!! It would be such a lifesaver... :)! Everything looks beautiful and colourful as usual, Sheri :)! Thank you Chantale, Karen, CG and Nichole! Happy New Year! Your dragon meal looks delicious! What an amazing cutter! Thanks a lot Yenny and Soh Hong Wei!